Due to the recent earthquake and consequent damage to the Coastal Pacific Train line, all passes have been temporarily suspended until further notice. However, all journeys, apart from the Coastal Pacific between Picton and Christchurch which is currently under reconstruction, can be booked individually so please don’t hesitate to contact us for quotes and reservations on all the other services in New Zealand. 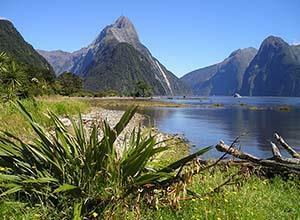 New Zealand is often spoken about in terms of the differences between the North Islands and the South Islands. The sparsely populated South Island is most notable for its rugged scenery, snow-capped mountains, and wildlife experiences, while the North Island is known for lively cities such as Auckland and Wellington, the rich Maori culture, milder weather and geothermal springs. The good news is that you don’t have to choose which island to visit or where to concentrate your time - with the Scenic Flexi Pass you can tour the entire country. This fantastic rail pass incorporates a nine-day Scenic Rail Freedom Pass and a 60-hour Intercity Pass that can be used on buses, coaches and - most importantly - the Interislander Ferry, which offers passage between the two islands. The beauty of this pass is that it gives you absolute freedom to travel when and how you wish. Best of all, you can travel in any direction and at your own pace. 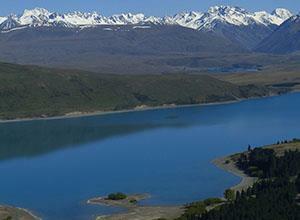 Exploring New Zealand has never been this easy. You can book your Scenic Flexi Pass directly through International Rail, either by using our online booking form or by giving us a call on +44 (0) 871 231 0790. Once you’ve made your booking, it’s up to you to decide on dates and destinations. Just remember that you’re not guaranteed a train seat unless you reserve in advance - it’s advised that you book individual journeys (free with your pass) at least 24 hours ahead of your journey.